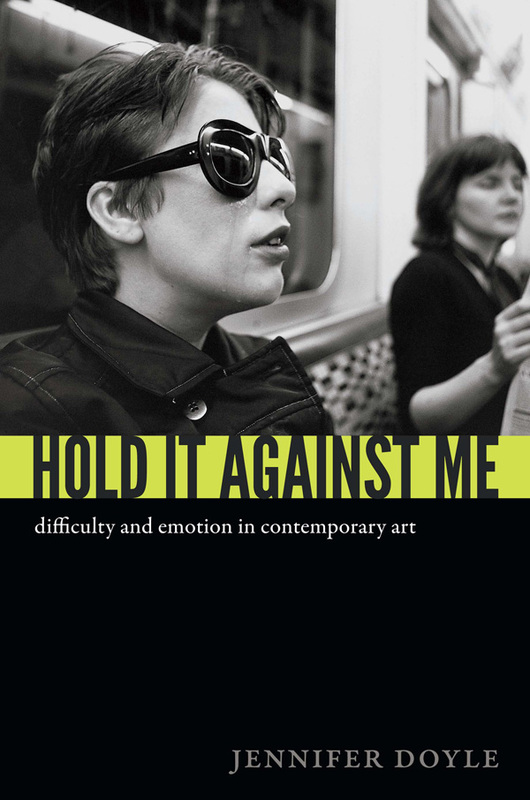 In Hold It Against Me, Jennifer Doyle explores the relationship between difficulty and emotion in contemporary art, treating emotion as an artist's medium. She encourages readers to examine the ways in which works of art challenge how we experience not only the artist's feelings, but our own. Discussing performance art, painting, and photography, Doyle provides new perspectives on artists including Ron Athey, Aliza Shvarts, Thomas Eakins, James Luna, Carrie Mae Weems, and David Wojnarowicz. Confronting the challenge of writing about difficult works of art, she shows how these artists work with feelings as a means to question our assumptions about identity, intimacy, and expression. They deploy the complexity of emotion to measure the weight of history, and to deepen our sense of where and how politics happens in contemporary art.